We are a global provider of marking and coding solutions designed to perform their best in high-demand, high-capacity production lines, where reliability is a must. We are true partners, customizing our solutions to your requirements and building with high-quality materials to provide many years of service. 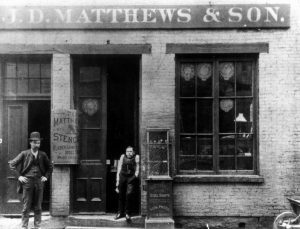 In 1850, John Dixon Matthews came from his native Sheffield, England to Pittsburgh, Pennsylvania where he opened a small engraving shop. 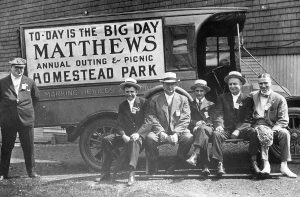 Matthews’ first products included military stamping dies, branding irons and stamps for wooden crates. 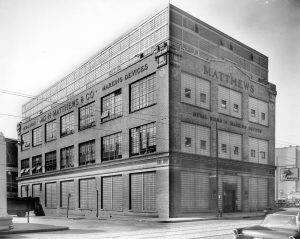 By the early 1900s, wooden crates were being replaced by corrugated shipping boxes and, always an innovation leader, Matthews’ produced the first vulcanized rubber stamps and plates for printing on cardboard. Today, Matthews Marking Systems continues to lead the pack with innovative inkjet, laser and automation solutions for marking on packaging and industrial materials. With Matthews, your printing and coding systems are paired with innovative software and quality inks. This means you can operate with fewer interruptions, faster changeovers and better results.